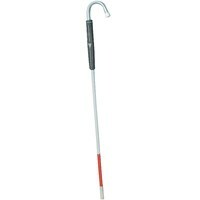 Lightweight aluminum cane. White reflective tape on shaft. Red reflective tape on lower section. Nylon replacement tip.